Sugar has been pinpointed as one of the three white poisons - salt, sugar and flour. Even so, thousands of people consume sugar because its sweet taste is very pleasant, attractive and preferred bitter. Nowadays, information is a key feature of society - those who emphasize the harmful effects of sugar on the body of a man continually resurface, but even this does not stop the consumption of the sweet "white poison". What's more - the modern food industry uses more sugar to give a delicious taste of foods which do not even suspect that it is required, example- sugar is contained in almost all packaged foods, even fries and salads at McDonalds contain sugar, which is one reason for the harmful effects of so-called fast- food. Sugars are a type of carbohydrate. Refined sugar is sucrose, which is made up of glucose and fructose - simple sugars that are naturally found in fruit. 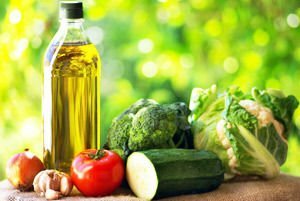 Sucrose and glucose are present in small amounts in some vegetables, such as beets, carrots and peas. Mankind has used glucose for millennia. In the middle of the first millennium BC, Indians began to use a dust distilled from the juice of sugar cane. The resulting product was used in the beginning only as a medicine, but after a while, they began to sweeten a variety of dishes. After several centuries, sugarcane plantations appeared in China, and then in Persia. In ancient times, sugar was known as Indian salt in Greece. Cultivated beets are believed to have originated in the Mediterranean regions of Europe. 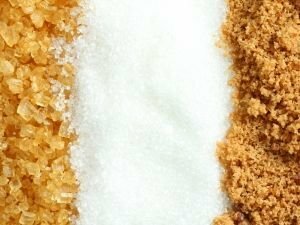 Although used much earlier as vegetable and fodder crops as a source of sugar, only during the past 170 years have Europeans produced sugar and imports were very expensive. Only in 1747, the German chemist Andreas Margraf found that crystal sugar can be obtained from beets. Napoleon revolutionized the production of glucose by beginning the intensive production of beets. He ordered that systems are built to extract sugar in France. 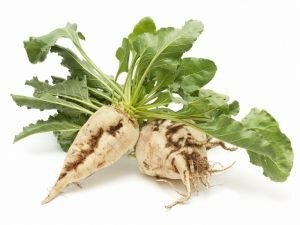 Around the middle of the 19th century, they were developing an entire industry in Germany and France, based on beets with high sugar content and improved techniques for extracting sugar. At the outset, sugar was a luxury food like black caviar and was only for the elite of Europe. Not long after, however, it was used as a quick source of energy for new workers in the industrialized world. According to some scientists, people love sugar’s sweet taste because it reminds us of breast milk. All sugars we eat are converted into glucose in order for our bodies to digest. This is why all mammals love it, though for most of them, it is really harmful. Fats and proteins are neither in brown, nor white. 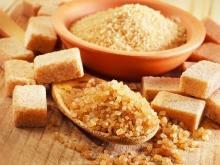 Brown sugar contains some minerals and is also preferable to refined sugar. 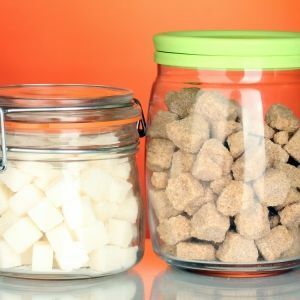 Refined sugar, however, is a source of empty calories, it does not provide other valuable nutrients such as vitamins, minerals anddietary fiber, unlike fruits. 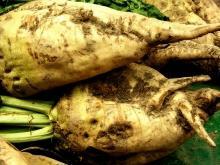 Sugar is produced from sugar beets, or sugar cane. Commercially appears white and brown sugar. 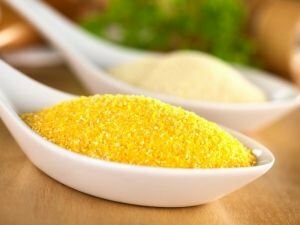 Striving for a healthy that has become a craze in the world and it makes people use more brown sugar with the idea that it shall preserve their health. 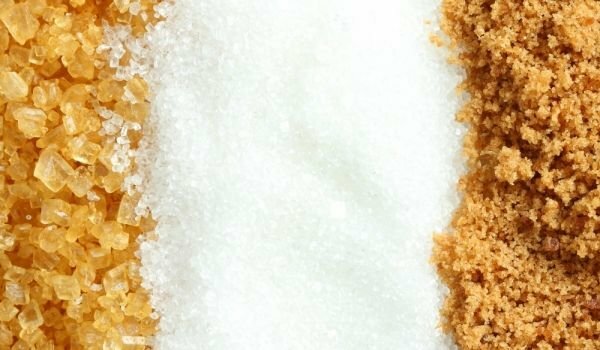 The truth is that both types of sugar stand equal and brown sugar is more expensive, simply because of it’s place of production and its transportation. The process of extracting sugar is prolonged. First, the roots are washed thoroughly, then cut into thin strips. Sugar is removed from them by diffusion in warm water through a series of compartments. Hot water reaches the first cossettes from which most of the sugar has been removed and gradually moves to those containing more sugar. The resulting hot water is with a sugar content of 10 to 15 percent, which is first treated with lime to remove the part, not containing sugar, then a CO2 gas filter. This is done through a series of five steam-heated and vacuum drying cycles. At the end, a lot of saturated solution is added to sugar crystals to promote crystallization of sugar crystals and are separated by centrifugation. Separated molasses is boiled and centrifuged. Finally, the molasses is treated with lime and mixed with "raw juice" to extract more sugar. The end product is white and ready for consumption, whether by households or producers of soft drinks. The production of raw sugar, as all the sugar essence is extracted, has a secondary product of sweet products - beet molasses. It’s used for the production of cattle feed or sent to factories producing alcohol. Refined sugar is the most common form of sugar available in many countries. Quality white sugar is shiny and white when touched by hand should not be sticky, and the crystals are uniform, with clear walls. According to the size of the crystals, they come in big, small and medium sizes. Small sugar crystals are most suitable for making cakes. Powdered sugar - is digested refined white sugar, which contains a certain percentage of starch to prevent clumping lumps. Powdered sugar is used mostly are icings for cakes and for sprinkling. It can be used as a substitute for ordinary sugar. 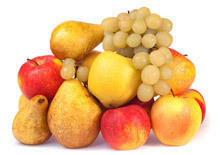 Fructose - also called fruit sugar, occurs most naturally in fruits and honey. Factory fructose is available in liquid and powder form, the second is more prevalent. Fructose is caramelized and darkened considerably faster than sugar. 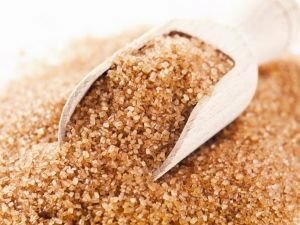 - Light brown and dark brown refined sugar - the most common brown sugar is produced by mixing refined white sugar and cane molasses. According to the content of the molasses syrup in the final product, it is divided into light brown – with a small amount of molasses and brown – with more molasses. 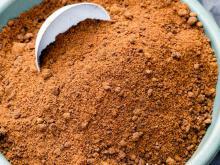 - Demerara - an unrefined brown sugar, ranging in color from light brown to reddish. 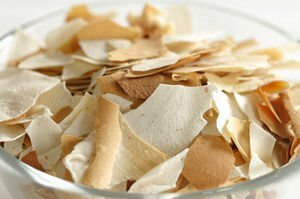 There is a specific taste, which is crisp and slightly sticky. It is used in various pastry desserts and sweetened drinks a lot. - Muskuvado - also known under the names Barbados or moist sugar. 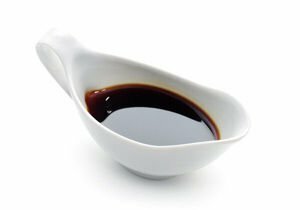 It can be lighter or darker depending on the quantity of molasses in the final product. 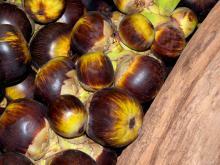 There are fine and moist textures, but typical for muskuvado is a crisp scent of caramel and molasses. This type of sugar is very suitable for sweets, creams, various fruit cakes. It is resistant to high temperatures and has a long shelf life. 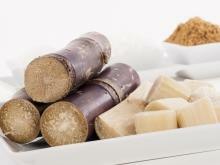 - Turbinado - processed raw sugar which has undergone double cleansing to be edible. It is pure sugar with a light fragrance. Mainly used for sweetening hot drinks and to decorate desserts. In 2003, the World Health Organization (WHO) required a healthy dose consumption of sugar a day - no more than 10% of calories. In grams, the amount of pure sugar obtained is no more than 60 grams for men and 50 grams for women. Fizzy drinks and even cold teas also contain sugar – around 40g. Drinking 2-3 cups depletes our daily allowance of sugar. Although harmful in excessive use, sugar has a positive impact on the human body when consumed in moderation. Sugars are the fastest energy for the body both physically and mentally at work. They contribute to the rapid recovery in mental and physical fatigue. Sugar offers a nice sense of sweetness, making it a favorite food in any form or product. 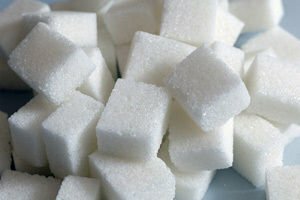 According to Polish doctors, a deprived of sugar human body has a shorter life. Sugar activates blood circulation in the brain and spinal cord, where deficiency of the body may cause sclerosis. According to some specialists sugar significantly reduces the risk of the formation of plaque in blood vessels, thus preventing thrombosis. Lovers of confectionery suffer much less from arthritis than people who have completely renounced white crystals. Sugar helps the liver and spleen. It is important to know, however, that the gastrointestinal tract sugar goes directly to the liver and can be broken only there. While the liver is busy breaking the sweet product, it can deal with almost anything. That is why when a person consumes sweet and alcohol, he gets drunk more easily. In such cases, the liver breaks down sugar and can not process alcohol. Scientists and specialists strongly recommend that sugar should be used as little as possible. In adulthood, Sugar can cause an increase in harmful cholesterol in the blood and damage the functions of dislocation cells. Common opinion is that sugar contains nothing except pure calories - no vitamins or micronutrients or dietary fiber. Sugar is considered an addictive product, equal to a drug and denial of it is associated with discomfort. It causes nervousness, irritability and even headaches. Sugar gives the body a sharp burst of energy and then follows with a sharp drop until you load the next dose of sweetness. The effect of sugar on the brain is comparable to that of opiates because sweets cause a feeling of happiness, but this is short-lived. - Sugar causes a sharp drop in blood glucose levels and unstable blood sugar that can lead to mood swings, fatigue, headaches and cravings for another dose of sugar. 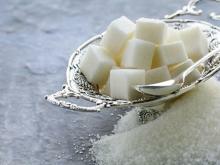 - Sugar suppresses the immune system in the body because bacteria feed on sugar. When these organisms are in excess in the body, infections and diseases are more likely. - Sugar increases the risk of obesity, diabetes and cardiovascular diseases. From it, you can gain weight, which entails more diseases. It is basically the scourge of our age - obesity because people consume everyday stress mainly foods and semi- finished products that are rich in sugar. as a higher glycemic index (GI) of food a person consumes (food, quickly affecting blood sugar levels), the more high risk for becoming overweight, disease diabetes and cardiovascular diseases. There is a link between high GI and various forms of cancer. - Regular consumption of sugar leads to chromium deficiency. If a person consumes a lot of sugar and other refined carbohydrates, it will not receive enough chromium, which actually regulates blood sugar. - Sugar makes us grow old faster. Excessive consumption leads to relaxing your skin. This comes as a result of a process in which blood sugar falls and "sticks" to proteins. The resulting new molecular compounds have a good basis for the loss of elasticity of the tissues in the body - from skin to organs and arteries. - Sugar causes tooth decay and gum disease. It is clearly an enemy of a healthy smile. Chronic infections, such as those resulting from periodontal challenges play a role in the development of coronary artery disease or in other words - damaging heart health. - Diabetes affects mood and concentration negatively affects adolescents. - Sugar increases stress. Stressful situations lead to increased hormone levels, stress is activated when blood sugar is low. Eating a lot of sweets causes the release of stress hormones such as adrenaline, epinephrine and cortisol. They increase blood sugar levels, thereby supplying the body with a quick energy refill. The final effect is negative restlessness, irritability, trembling. - Sugar interferes with the absorption of important nutrients. It has been shown that sugar comes with the lowest intakes of essential nutrients, in particular vitamin A, vitamin C, folic acid, vitamin B12, calcium, phosphorus, magnesium and iron. This is extremely dangerous for children and adolescents, who are most in need of these vitamins and minerals.